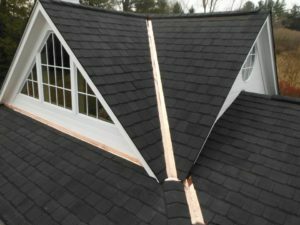 Roof Repair Catonsville | Roland Slate Service Co. If there’s one thing you rely on at home more than anything else, it’s your roof. Your roof protects you from the elements, allowing you to eat dinner with the family, curl up with a good book in the den, and doze off to dreamland safe and sound. It’s the silent protector, and it deserves your attention when it requires roof repair. It may be time to show your roof some TLC after all these years! When Do You Need a Roof Repair? Damage from raccoons or squirrels – These critters eat away at rotting wood, which can spring a roof leak. Disasters like fire or extreme weather – We’re available for emergency roof repair! Age – Roofs require regular maintenance; if yours hasn’t been kept up with, it may need a facelift. How long has it been since you had your roof inspected? If you can’t remember, it may be time to give us a call to set up a free roof repair consultation at your Catonsville home!